Histone modifications are essential in eukaryotic gene expression, regulation, and are driven by histone writer, eraser and reader proteins. These histone tail changes are dynamic, and a normal part of a cell’s embryonic differentiation from its original totipotent state. However, aberrant histone modifications are linked to numerous disease states1, including many human cancers. For example, the lysine-specific SET domain, containing G9a methyltransferase writer protein, is over-expressed in various cancers, and it is also deficient in CD4+ T helper cells, leading to increased rates of intestinal infection2. In another example, the BET bromodomain reader protein Brd4 is implicated in NUT midline carcinoma (NMC) through a fusion of the protein and NUT3. Due to these and other findings, G9a and BET bromodomain proteins are targets for numerous drug discovery projects. 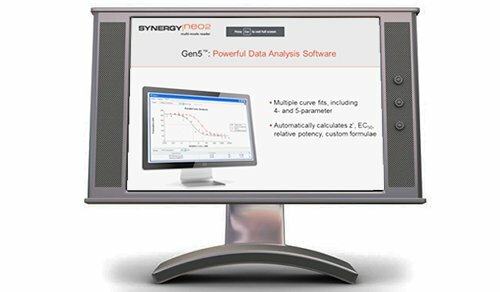 Current biochemical assay technologies examine enzyme activity and G9a and BET bromodomain protein inhibition. Cell-based assays for these epigenetic players were previously limited to the detection of specific histone modifications using antibodies, with antibody specificity being an issue. 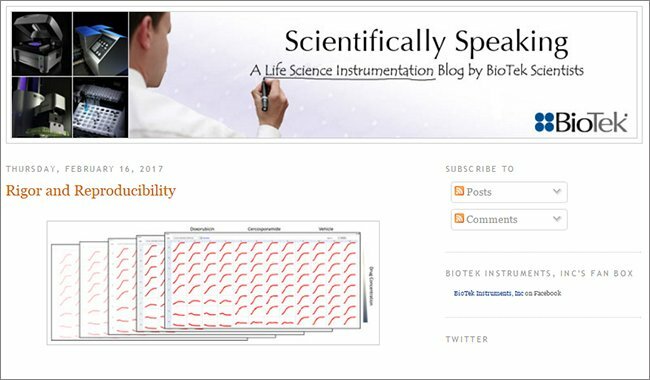 Hence there exists a need for a robust, high throughput cell-based assay that can identify compound binding to a protein’s catalytic domain. In this study, we describe a novel, cell-based assay platform that uses Enzyme Fragment Complementation (EFC) Technology to detect the specific binding and direct protein engagement of potential small molecule inhibitors to G9a methyltransferase and multiple bromodomain proteins. 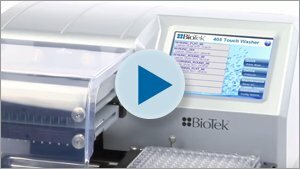 Automated assay procedures were carried out in 384-well format using high-throughput liquid handling and detection instrumentation. 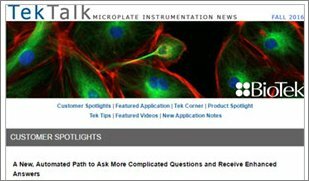 Initial experiments included cell number optimization and post-plating optimization of compound incubation times. 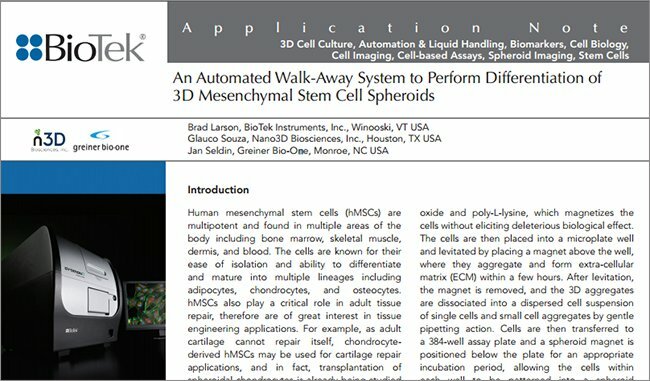 This was done to maximize the signal-to-background between wells containing compound-bound target cells, and wells with target cells only, as well as a Z’-factor4 validation. A small, focused library was then screened with each target assay. Finally, dose response testing was completed using hits from the compound screen and known inhibitor positive control compounds. 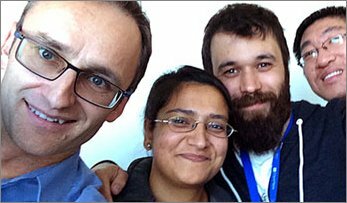 Experimental results confirm the automated cellular assay’s ability to accurately detect the target-specific interaction of test compounds, with a low false positive rate, in a simple, yet robust manner for these important epigenetic targets. 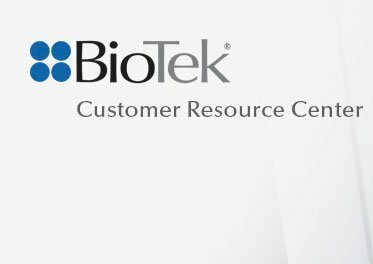 InCELL Hunter™ epigenetics assays from DiscoveRx Corporation (Fremont, CA) are pre-validated, target-specific assays that may be used to investigate compound-target engagement inside intact cells by detecting changes in protein stability. The assay measures compound cellular permeability and potency. In the assay (Figure 1), the target is fused to the enhanced ProLabel™ (ePL) enzyme fragment and expressed in the selected cell background. In the absence of a binding compound, the target-ePL fusion reaches a steady state, which increases when a compound binds the target. The fusion is quantified through the addition of substrate and complementary enzyme acceptor (EA) fragment. This creates an active β-galactosidase enzyme, which converts added substrate to generate a luminescent signal. Figure 1. InCELL Hunter Assay Principle. Engineered cells express the target protein fused to an enhanced ProLabel (ePL) tag. In the absence of a binding compound, the target-ePL fusion reaches a steady state that increases when a compound binds the target. InCELL Hunter eXpress Brd2(1) Bromodomain Assay (Catalog No. 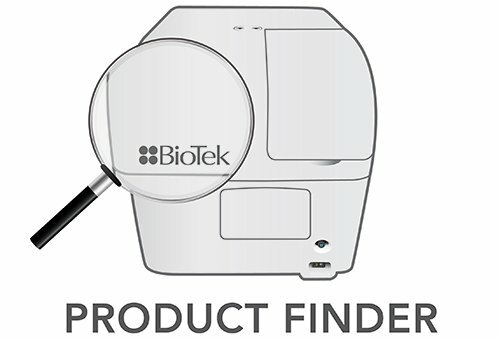 96-0004E1CP0S), InCELL Hunter eXpress Brd4(1) Bromodomain Assay (Catalog No. 96-0005E1CP0S), and InCELL Hunter eXpress G9a Methyltransferase Assay (Catalog No. 96-0003E15CP7S) kits, containing assay-ready InCELL Hunter cells expressing the appropriate epigenetic target protein, Cell Plating (CP) Reagent, and Detection Reagent, were donated by DiscoveRx Corporation. InCELL Hunter HEK293 Brd2(1) and HEK293 Brd4(1) cells were included with the Bromodomain assays, while InCELL Hunter A549 G9a cells were included with the G9a Methyltransferase assay. The 43 compound Screen-Well® Epigenetics Library, Version 1.0 (Catalog No. BML-2836-0500) was generously donated by Enzo Life Sciences (Plymouth Meeting, PA). The known bromodomain inhibitor (+)-JQ1 (Catalog No. 92-1149) was donated by DiscoveRx Corporation. Sinefungin (Catalog No. S8559) and 2,4-Pyridinedicarboxylic acid (2,4-PDCA) monohydrate (Catalog No. P63395) were purchased from Sigma-Aldrich Co. (St. Louis, MO). UNC 0646 (Catalog No. 4342) and UNC 0638 (Catalog No. 4343) were purchased from R&D Systems (Minneapolis, MN). 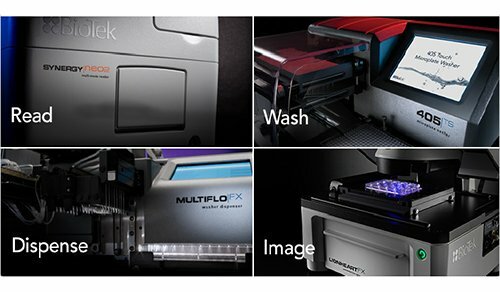 The Precision™ combines an 8-channel pipetting head and an 8-channel bulk reagent dispenser in one instrument. 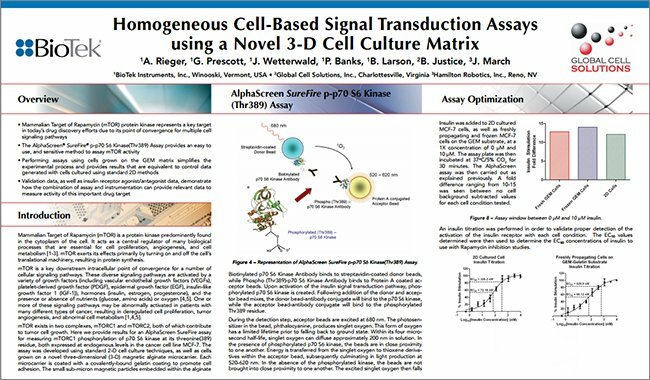 Precision was used to dilute the Epigenetics library and transfer the final 5X concentrations to the 384-well assay plates. 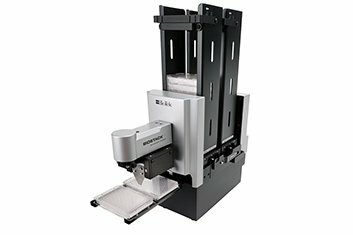 The dispenser offers fast, accurate plate dispensing capabilities through its two peristaltic and two syringe pumps, with volumes ranging from 0.5-3000 μL. 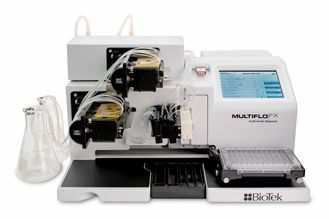 The MultiFlo was used to dispense all assay components including cells and prepared detection reagent in 384-well format. 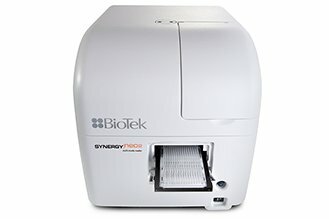 Synergy™ Neo HTS Multi-Mode Microplate Reader (BioTek Instruments, Inc.) with patented Hybrid Technology™ combines filter-based and monochromator-based detection systems in one unit. 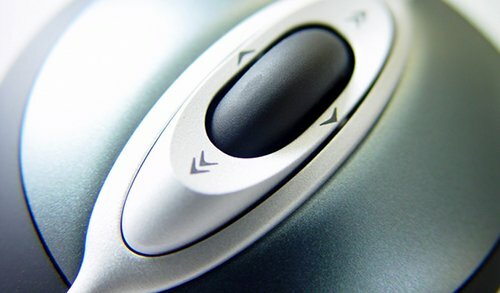 The dedicated, high-performance luminescence detection system was used to quantify the luminescent signal from each assay well using an integration time of 0.2 seconds and gain of 120. 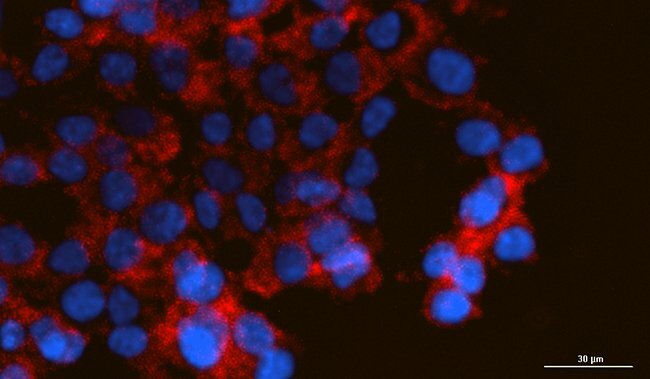 500 μL of the appropriate CP Reagent was added to 100 μL of assay-ready InCELL Hunter cells at a concentration of 12x106 cells/mL to make 600 μL of 2.0x106 cells/mL. The cells were further diluted to the appropriate concentration for each experiment by transferring an aliquot of cells to additional CP reagent. 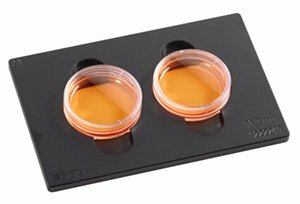 InCELL Hunter HEK293 Brd2(1) cells were plated into two separate 384-well microplates in concentrations ranging from 16,000 to 0 cells/well. The plates were incubated at 37 °C/5% CO2 for either 24 or 48 hours. Following incubation, 10 μM of (+)-JQ1 bromodomain inhibitor (1X) was added to half the wells at each cell concentration, while plating medium was added to the other half. The plates were incubated at 37 °C/5% CO2 for 6 hours. Detection reagent was then added to each well, and the plate was incubated at room temperature for 30 minutes. The luminescent signal was then quantified using the Synergy Neo and aforementioned luminescence settings. 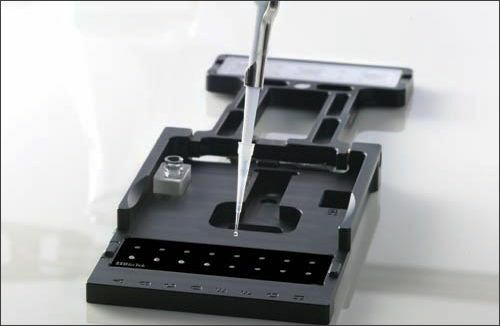 20 μL of InCELL Hunter cells, at a concentration of 5x104 cells/mL were plated into each microplate well of a 384-well plate, then the plate was incubated at 37°C/5% CO2 for 48 hours. Following incubation, 5 μL of titrated compound was added to each well, and the plate was incubated at 37°C/5% CO2 for 6 hours. 30 μL of detection reagent was then dispensed into each well, and the plate was incubated a final time at room temperature for 30 minutes. The luminescent signal was then quantified using the Synergy Neo and aforementioned luminescence settings. The automated assay workflow was run using Brd2(1) and Brd4(1) cell strains and 10 μM and 0 μM concentrations of the bromodomain inhibitor (+)-JQ1 as positive and negative controls in a Z’-factor experiment to measure assay robustness. The automated assay workflow was also run using the G9a cell strain and 10 μM and 0 μM concentrations of the methyltransferase inhibitor UNC 0638 as positive and negative controls. Forty-eight replicates of each compound concentration were included for each test. 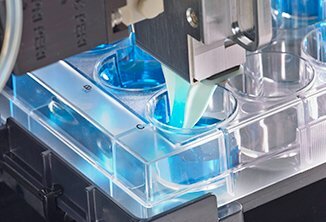 The cell concentration and post-plating incubation time optimized during the initial experiment were also implemented. Forty-eight compounds, including the 43 compound Screen-Well Epigenetics Library, and inhibitors sinefungin, 2,4 PDCA, (+)-JQ1, UNC 0646 and UNC 0638, were each diluted in the appropriate CP reagent from their original 10 mM concentration to final 1X concentrations of 20 μM, 2 μM and 200 nM. Each compound concentration was tested using the Brd2(1), Brd4(1) and G9A assays following the aforementioned automated workflow. Dose response tests were performed by using serial 1:4 titrations on each hit compound from the compound library screen starting at a 100 μM 1X concentration. Each hit compound was tested using the Brd2(1), Brd4(1) and G9A assays following the aforementioned automated workflow. Calculated S:B values were then plotted for all cell concentrations (Figure 2C) and for 250-2000 cells/well only (Figure 2D). Per Figure 2D, the calculated S:B between wells containing 10 or 0 μM of inhibitor remain steady to slightly increasing for the 24-hour and 48-hour plating times up to 2000 cells/well. 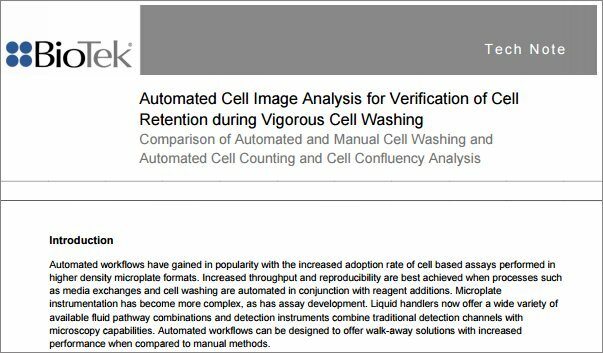 When comparing results from cells incubated for either 24 or 48 hours post-plating, across the same cell concentrations, S:B data from 48-hour incubated cells is consistently higher than from 24-hour incubated cells, with S:B values greater than 20. 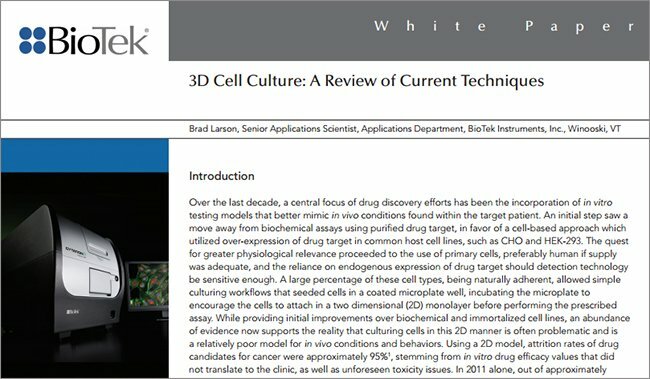 Therefore, a cell concentration of 1000 cells/well, and a 48-hour post-plating incubation time was chosen for use in subsequent experiments and across cell strains to ensure a high S:B ratio while also minimizing cell usage. The Z’-factor value takes into account the difference in signal between a positive and negative control, as well as the signal variation amongst replicates. 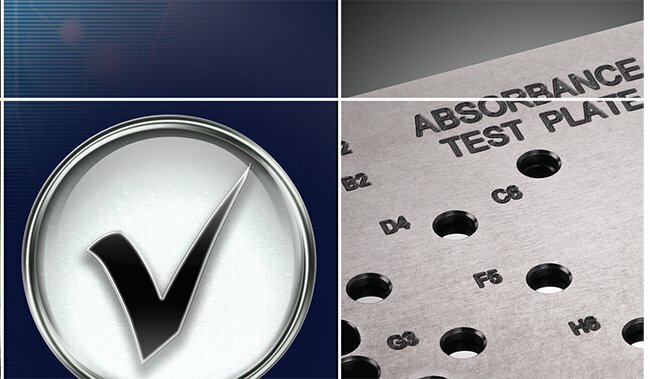 A scale of 0-1 is used, with values greater than or equal to 0.5 being indicative of an excellent assay. Z’-factor values generated with the three automated assays (Figure 3) of 0.82 (Brd2(1)), 0.79 (Brd4(1)), and 0.80 (G9a), each indicate an excellent, robust assay. Figure 2. Cell concentration and post-plating incubation results. RLU values plotted for wells containing either 10 μM or 0 μM (+)-JQ1 from cells incubated for 24 hours (A.) or 48 hours (B.) post-plating. Calculated S:B values for all cell concentrations tested (C.) as well as for 250-2000 cells/well only (D.). 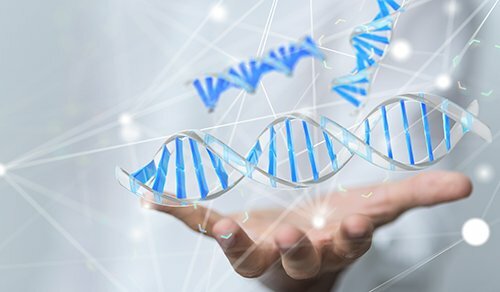 The Screen-Well Epigenetics Library and 5 known inhibitors were screened using the validated, automated Brd2(1), Brd4(1) and G9A assays to look for potential target protein inhibitors. Fold induction (Table 1) was determined for each of the three compound concentrations with each of the three assay chemistries by comparing the luminescent signal from compound-containing wells to those with no compound. A fold induction value of two represents a 2-fold increase in RLU values over the average from wells containing no compound. Increased luminescence is indicative of compound binding to the target protein-ePL fusion, and an increase in the molecule’s steady state. This can also indicate a compound’s potential to inhibit the target protein’s activity. A decrease in fold induction was seen at the highest concentration screened with certain compounds, including BIX-01294, UNC 0646, and UNC 0638. This was most likely due to cytotoxic effects from the compound on the cell line line incorporated for the particular assay. Compounds yielding greater than a 2-fold luminescent signal increase, highlighted in red per Table 1, were further tested to discern their full inhibitory potential. Figure 3. Z’-factor results for automated (A.) Brd2(1); (B.) Brd4(1); and (C.) G9a assays. Table 1. Screen-Well Compound Library and known inhibitor screen results. Figure 4. Dose response test results, showing induction curves and EC50 values for known inhibitory compounds with the (A.) Brd2(1); (B.) Brd4(1); and (C.) G9a assays. Dotted line indicates fold induction value of 1. 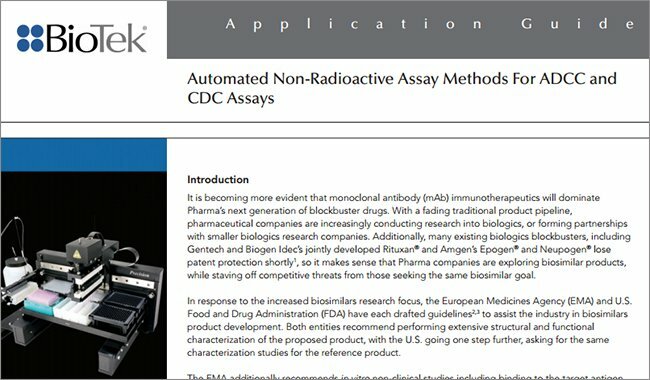 Those compounds showing greater than a 2-fold luminescent signal increase in the compound screen were carried forward for dose response analysis using the validated, automated Brd2(1), Brd4(1) and G9A assays to examine target selectivity. Fold induction values were plotted for all compounds included in the dose response test, with each assay. Points were excluded from consideration where obvious cytotoxic effects were seen from high compound concentration. 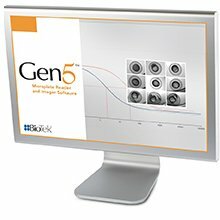 Per Figure 4, the known bromodomain inhibitor, (+)-JQ1, and G9a methyltransferase inhibitors, UNC 0646 and UNC 0638, each demonstrated the expected inhibitory profiles and EC50 values5,6,7, thus validating screen and dose response test results. Figure 4 also shows that the BIX-01294 compound also demonstrated binding affinity to G9a with increasing concentration. This phenomenon was selective for the G9a assay, and is confirmed in literature references showing that BIX-01294 binds to the substrate peptide groove of the protein8. No appreciable BIX-01294 binding was observed with the two bromodomain proteins. The InCELL Hunter G9a Methyltransferase, Brd2(1) and Brd4(1) assays provide an accurate, simple, all-in-one cell-based format to assess compound binding to the specific target of interest. 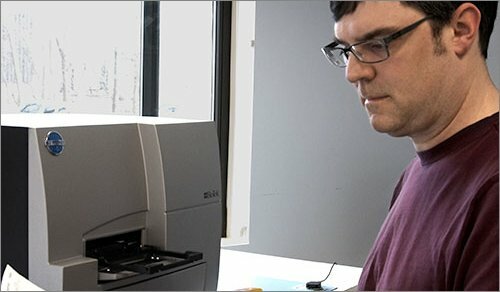 The assay procedure is easily automated in 384-well format using Precision and MultFlo. 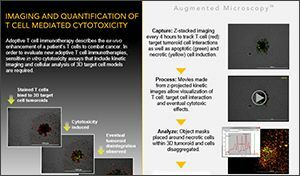 Additionally, Synergy Neo’s high-performance luminescence detection affords sensitive chemiluminescent signal detection, allowing use of cell concentrations as low as 1000 cells per well. 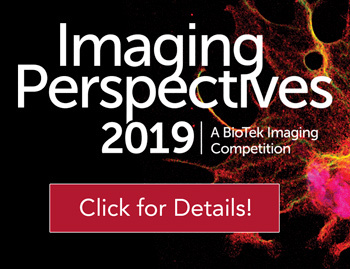 Screening data show that an increased luminescent signal is only seen when compounds interact with the specific intracellular target protein, yielding a low false-positive rate. 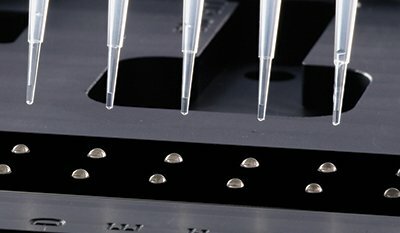 Finally, the combination of assay chemistry and liquid handling and detection microplate instrumentation create a simple, robust and definitive cell-based solution for inhibitory compound identification of these important epigenetic targets. Lehnertz, B.; Northrop, J.P.; Antignano, F.; Burrows, K.; Hadidi, S.; Mullaly, S.C.; Rossi, F.M. ; Zaph, C. Activating and inhibitory functions for the histone lysine methyltransferase G9a in T helper cell differentiation and function. J Exp Med. 2010 May, 207(5), 915-22. French, C.A. ; Ramirez, C.L. ; Kolmakova, J.; Hickman, T.T. ; Cameron, M.J.; Thyne, M.E. ; Kutok, J.L. ; Toretsky, J.A. ; Tadavarthy, A.K. ; Kees, U.R. ; Fletcher, J.A. ; Aster, J.C. BRD-NUT oncoproteins: a family of closely related nuclear proteins that block epithelial differentiation and maintain the growth of carcinoma cells. Oncogene. 2008 Apr 3, 27(15), 2237-2242. InCELL Hunter™ eXpress Brd2(1) Bromodomain Assay (Product Code: 96-0004E1; Lot Number 12H20SG2) Data Sheet, Oct 22, 2012. InCELL Hunter™ eXpress Brd4(1) Bromodomain Assay (Product Code: 96-0005E1; Lot Number 12H2202) Data Sheet, Oct 22, 2012. 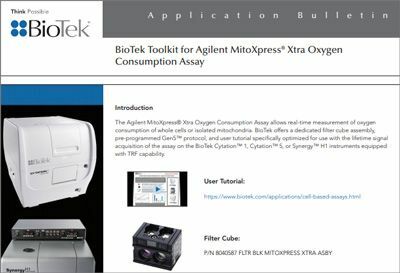 InCELL Hunter™ eXpress G9a Methyltransferase Assay (Product Code: 96-0003E15; Lot Number 12H2107) Data Sheet, Oct 22, 2012. Chang, Y.; Zhang, X.; Horton, J.R.; Upadhyay, A.K. ; Spannhoff, A.; Liu, J.; Snyder, J.P.; Bedford, M.T. ; Cheng, X. Structural basis for G9a-like protein lysine methyltransferase inhibition by BIX-01294. Nat Struct Mol Biol. 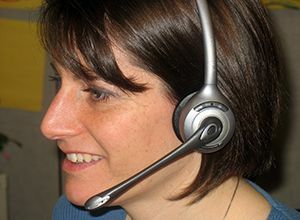 2009, 16(3), 312-317. 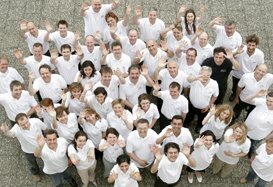 The authors would like to thank Enzo Life Sciences for their generous donation of the Screen-Well Epigenetics Library.